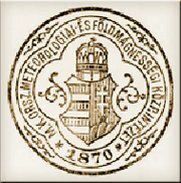 The deed of foundation of the Royal Hungarian Central Institute of Meteorology and Earth Magnetism was countersigned in 1870 by the King, who gave the Minister of Religion and Education charge over the institution. The main tasks of the institute were to organize and assess meteorological measurements, as well as to investigate the climatic features of Hungary. The first daily weather forecast (on map) was issued in 15 June 1891. As from 1 August 1891, 130 telegraph offices (operating in different parts of Hungary) took these forecasts over. Initiated by the head of the Royal Hungarian Central Institute of Meteorology and Earth Magnetism, inspectorship of the institution was taken over in 1893 by the Minister of Agriculture. Renamed as Hungarian Meteorological and Earth Magnetic Institute its party rules has changed, its budget as well as its range of activity has broadened. Next to its former (mainly research) activities, the Institute has started to provide also regular weather forecasts. In the early 1910’s (in the prime of the institution), Institute operated roughly 1400 observatories in Hungary, and till 1950 the institute remained under the charge of the Minister of Agriculture. The collapse following the First World War affected Institute as well, it stagnated through a decade after the disintegration of Austro-Hungary. From the end of the 1920’s the institute had started to recover through improving upper-air observations (which are essential for aeronautical meteorology), and by establishing the storm warning network at the Lake Balaton. The World War Two has destroyed the institution again, but the post World War II reconstruction has been accomplished relatively apace. In 1950, the geophysical section of the institute was detached. The remaining part was renamed to Hungarian Meteorological Institute (HMI), and its supervision was taken over by the War Secretary. During the cold war HMI and its activities have been ascribed to marked strategic importance by the member states of the Treaty of Warsaw. In 1953 the executive council took charge over the institute, what has deepened its special position. Favouritism has facilitated its development, nevertheless it caused many lasting structural distortions. By the Order in Council No. 2016/1967. (IV.22.) 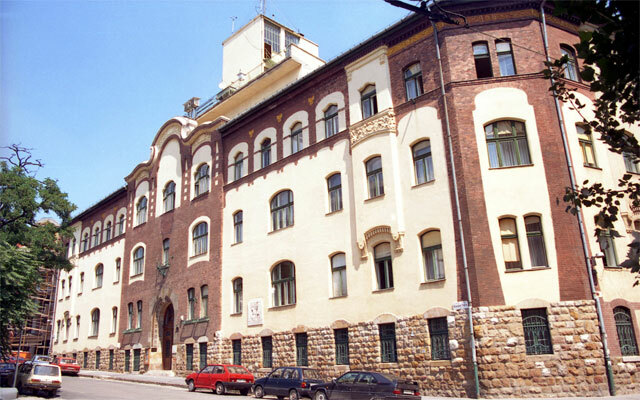 the supervision of HMI was taken over by the Hungarian Academy of Sciences in 1967. One year later its supervision changed again, since it did not operate successfully as an academic research institute: its activities (observation and data retrieval) served civil and (mainly confidential) military purposes. Therefore in 1968 the National Committee for Technological Development (NCTD) took over its charge. The Hungarian Meteorological Service (OMSZ) was founded two years later (in 1970 - on the 100th anniversary of the establishment of RHCIMEM) by the order No. 1/1970 (VI.11.) of the NCTD. Next to its extremely expensive observation network that served mainly military purposes, the origination of its rocket system for hail prevention contributed to the institute’s economic breakdown during the political system change. In 1988, by the Order in Council No. 22/1988. (IV.8.) the Minister of Environment and Water took over the charge of OMSZ. The executive decree No. 12/1992. (IV.23) was announced in 1992 circumscribing the roles and competences of the OMSZ and its President. The decree was framed with a two years’ delay within a very short time, hence it bears marks of this dispatch. Along with the change in its old structure, OMSZ accomplished a considerable modernization program. Its observation network as well as its informatics system has been updated, and moreover, OMSZ integrated into the European meteorological society through joining in the main international meteorological organizations within the EU. In these days, according to the more then 140 years’ tradition, OMSZ fulfils such duties as collecting, processing and (in the last few decades) providing meteorological data and information. Next to running nationwide monitoring network, OMSZ provides radiosonde upper air measurements, operates meteorological radar system as well as lightning localization system, and guarantees the continuous collection, verification and assimilation of the above information, as well as the maintenance of the meteorological data base. Our institute analyses and calculates weather development by using its own numerical model runs as well as up to date forecast products issued from international weather forecast centres. By the exchange of its products, OMSZ contributes to the effective operation of the information channels coordinated by the WMO and the International Civil Aviation Organization. In order to fulfil its above listed duties on a high standard, OMSZ is engaged in research and development projects. Therefore it is capable for carrying out such safeguarding activities as the catastrophe warning system, the storm warning system at Lake Balaton and Lake Velence, and the prediction of chemical as well as nuclear pollution dispersion. In addition, OMSZ provides the authorities (under the terms of a special agreement) with meteorological information (civil aviation, hydrology, catastrophe protection). Moreover, our institute also provides commercial services.